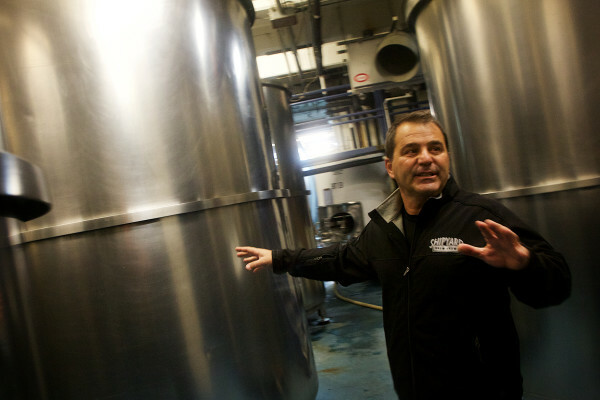 Fred Forsley of Shipyard Brewing said, during a tour of the company facility in Portland Thursday, the bulk of the company’s investment in the next two years will go to doubling its bottling speed and adding a permanent canning line, with no immediate plans for expanded brewing capacity. PORTLAND, Maine — Amid massive 300-barrel fermentation tanks, there’s a small setup in the Shipyard brewery that puts out 1.5 barrels of beer at a time. The company hopes to position itself for a new role in the rapidly growing craft beer industry with $4 million in investment, direct control of distribution in more states and legislative changes that would let other breweries use its equipment during slow periods for Shipyard. While there’s millions of investment on the way, some of the efforts to stay fresh are for “talk value,” Forsley said. The big kid on the block of Maine’s beer scene has put out special releases, used its Federal Jack’s and Sea Dog pubs as test audiences, and in March will roll out its first seasonal diversion from the ringwood yeast at the heart of its beers, in the form of a German pilsner. But that new beer doesn’t represent a shift away from the company’s core products, Forsley said, such as the line of beers started by its autumnal Pumpkinhead. Other seasonal iterations, like the Gingerbreadhead line introduced in 2014, are in the works. “With Pumpkinhead’s success, it allows us to create a whole category behind the ‘head series,’” Forsley said. Shipyard plans to reissue its Melonhead beer later this year and he said it’s been experimenting with other flavors, including orange. During the holidays, Forsley said Shipyard sold 3,000 barrels of Gingerbreadhead, triple the expected amount for the beer it introduced last year. But Forsley said efficiency and not capacity is Shipyard’s immediate focus, as the country’s brewing capacity has ballooned in recent years. 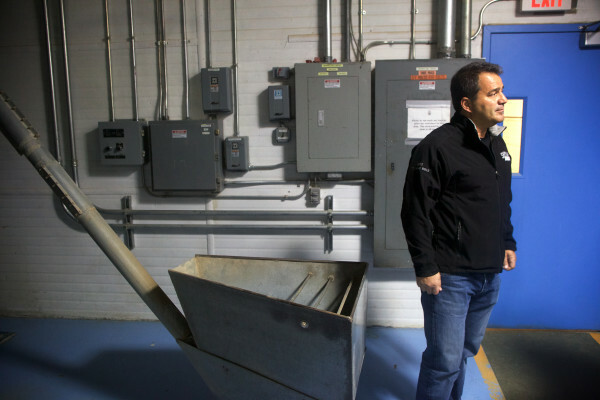 “We’re always talking about [adding capacity], but right now … there’s a lot of capacity being built, so maybe there’s opportunities for us working or doing stuff with others,” Forsley said. Forsley said the company has secured bank loans for about $4 million that in the next two years will be used to double Shipyard’s bottling speed and add a permanent canning line, to address some bottlenecks in production. With that, the company plans to boost its national reach — no longer outsourcing sales in Mississippi, Illinois and Michigan this year — and at home it’s looking for legislative changes that would let it perhaps play a new role in Maine’s rapidly growing craft beer industry. 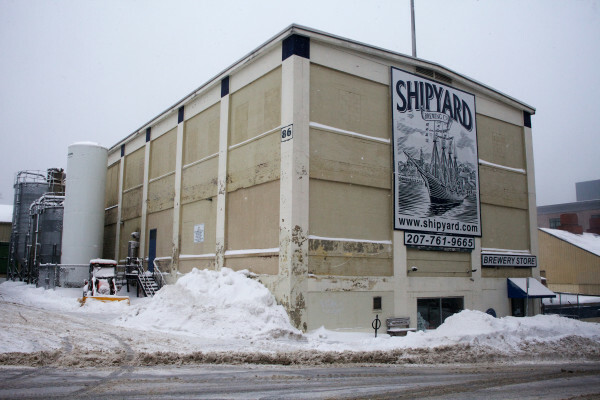 Maine Senate Minority Leader Justin Alfond, D-Portland, has introduced a bill that would let a larger brewery like Shipyard host up to nine other alternate proprietors who could brew on site as if the equipment were their own. Why that proprietor status matters: the tax code. 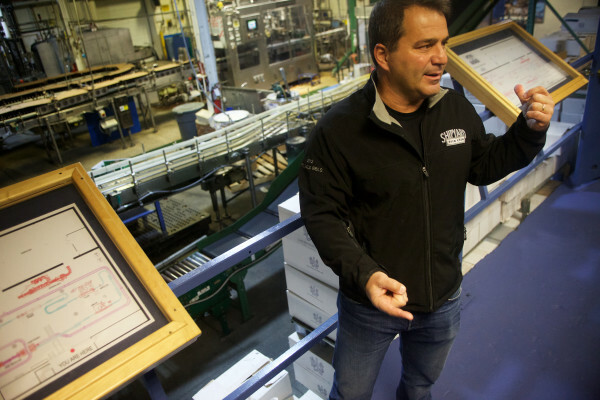 Small brewers pay lower excise taxes on their first 60,000 barrels of beer (a rate U.S. Sens. Susan Collins and Angus King have proposed lowering). Alternating proprietor status lets the host brewery — say, Shipyard — not count beer another brewery makes using its equipment toward its own 60,000 barrels, as opposed to a contract brewing arrangement. State law now allows a brewery to have one alternating proprietor, which Shipyard has in Peak Organic Brewing. But there are other reasons why Forsley said the timing is right to invest in new equipment, as rising demand for craft beer has fueled greater expertise in making brewing equipment that is more efficient and can make the brewery more profitable. Last year, Shipyard topped production of Maine-based breweries, distributing nationally about 170,000 barrels brewed mostly in Maine and Tennessee through distributor agreements and through its Sea Dog brew pubs. It has plans to open another such pub in North Conway, New Hampshire, in March. With those brands, the company has started hiring more sales staff for certain markets it’s in the process of taking over from Total Beverage Solutions, which negotiates with distributors on Shipyard’s behalf, primarily in the Pacific Northwest and the Midwest. Shipyard will use its own sales teams in New York, New Jersey, Mississippi, Illinois, Michigan and Texas, using its own staff to negotiate with distributors there and, in some cases, manage distribution hubs to serve those markets as the industry grows more and more crowded, with about 50 breweries operating in Maine alone.